No verbose diatribes necessary, I think. The military fights every day for our freedom. 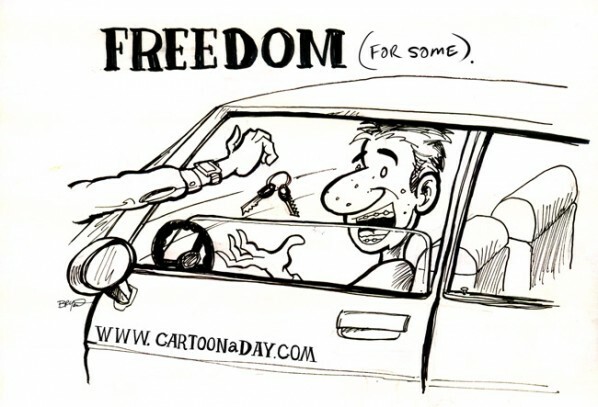 Some people undervalue the freedom they have. Inspiration: Cartoon featuring a teenager with braces sitting behind the wheel. Someone hands his car keys.